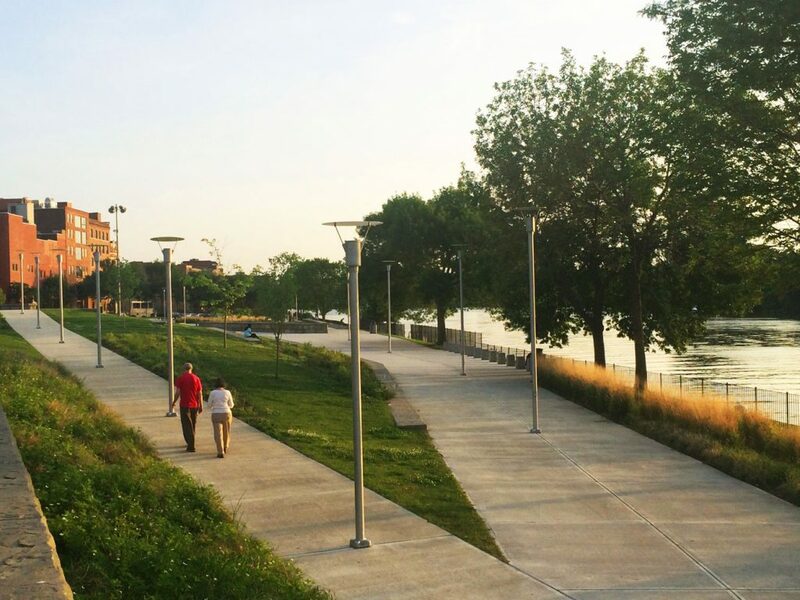 The Troy Riverfront Park is a 4.4 acre waterfront located in the heart of Troy, New York. 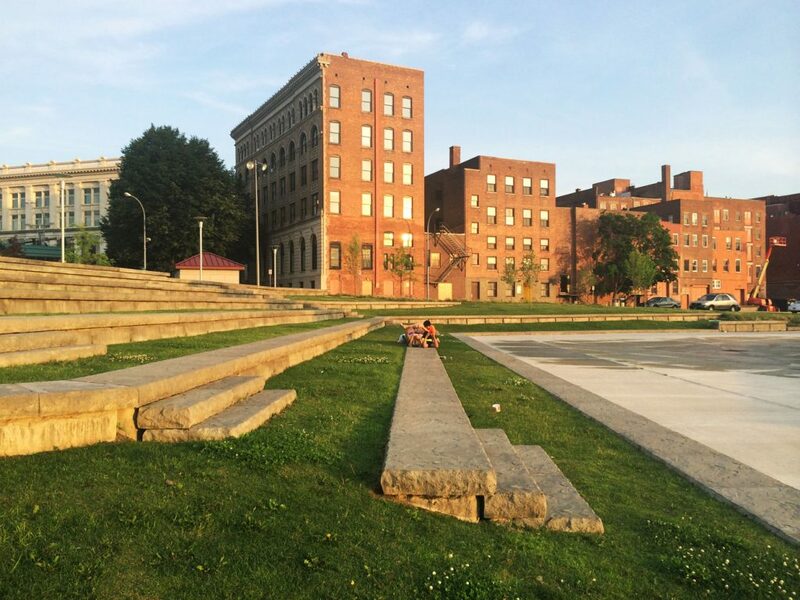 Underutilized and with limited waterfront access, the park was located in the rear of the commercial buildings facing River St and the city. 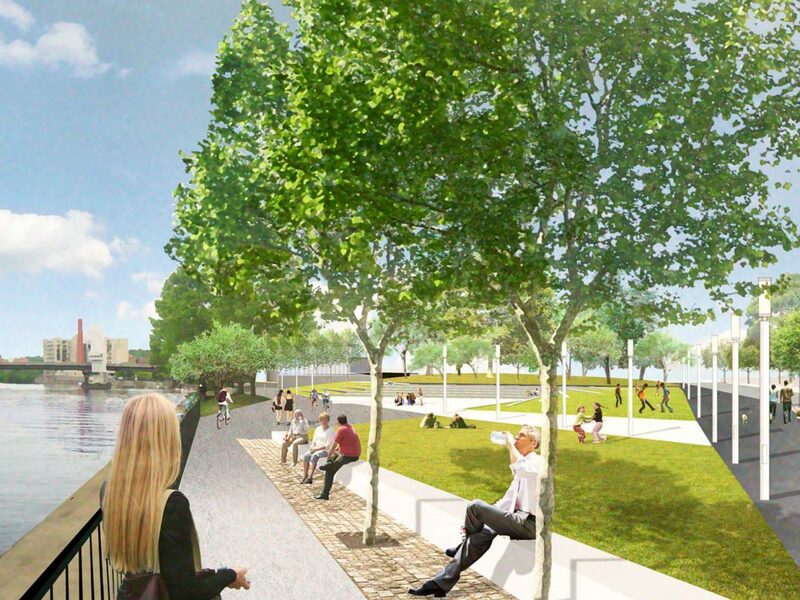 This project opens the park to the city and the river, increasing views and access corridors, while promoting a more sustainable and attractive gathering place. 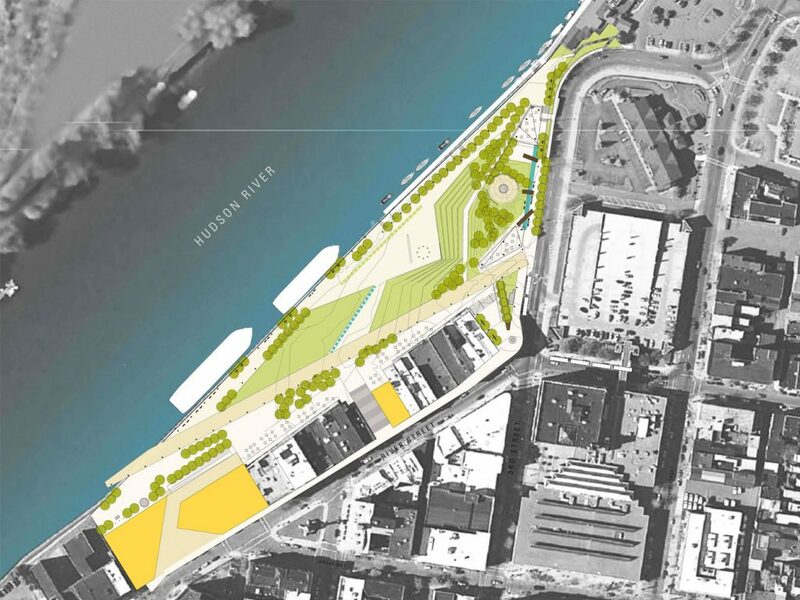 In addition, two City owned sites were repurposed in our plan, one for a mixed use development with public waterfront access, the other as an information center and additional access point from River Street. 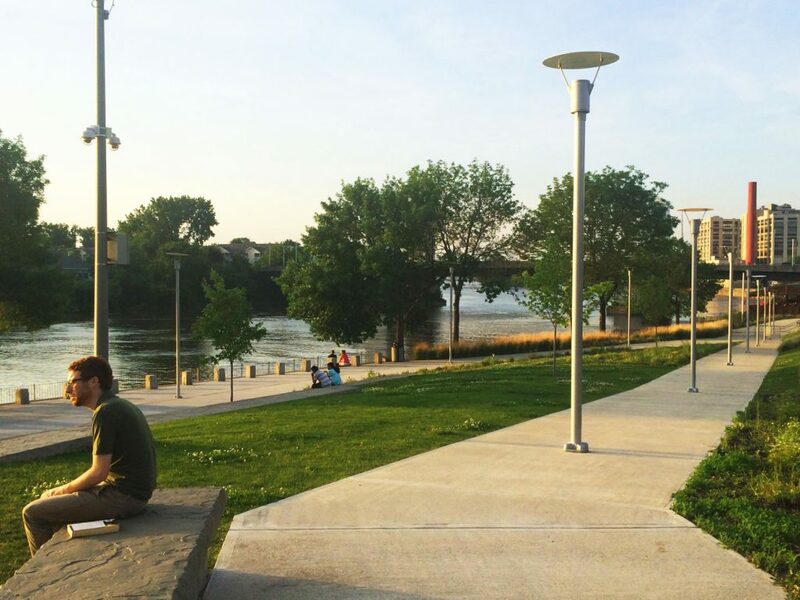 A series of public meetings were held to establish a park program and the plans were developed directly from the community members’, stakeholders’, and advisory committee’s feedback. 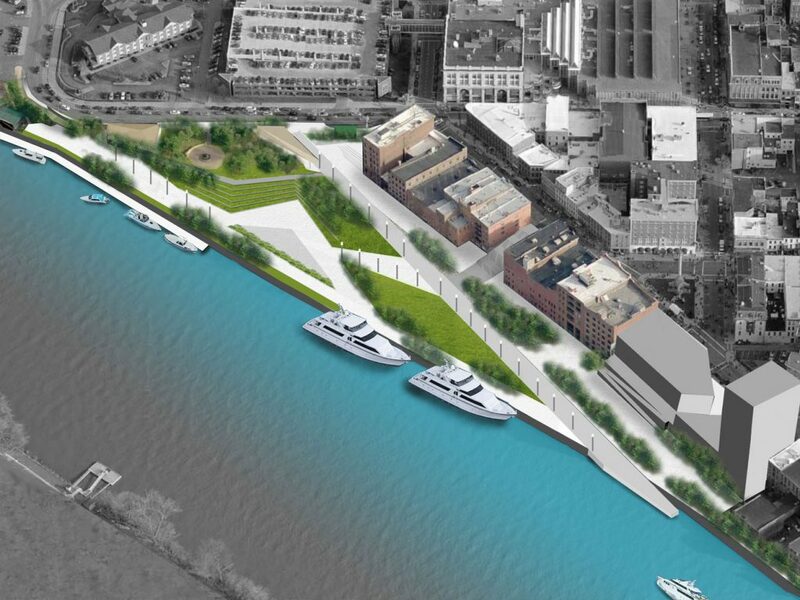 The final master plan provided improved connectivity to the city and historic center, a better home for the farmers market and other events, a new maritime and visitors center, added boating facilities, an improved amphitheater, universal access and a more sustainable ecology. 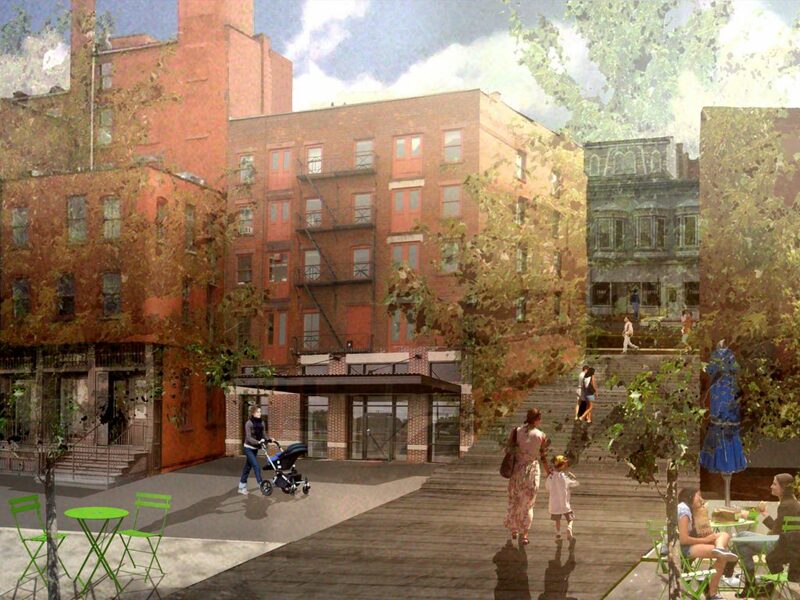 Implementation was phased, and Phase 1 has been constructed.